James Golding has confirmed plans to remain at Garry Rogers Motorsport next season. 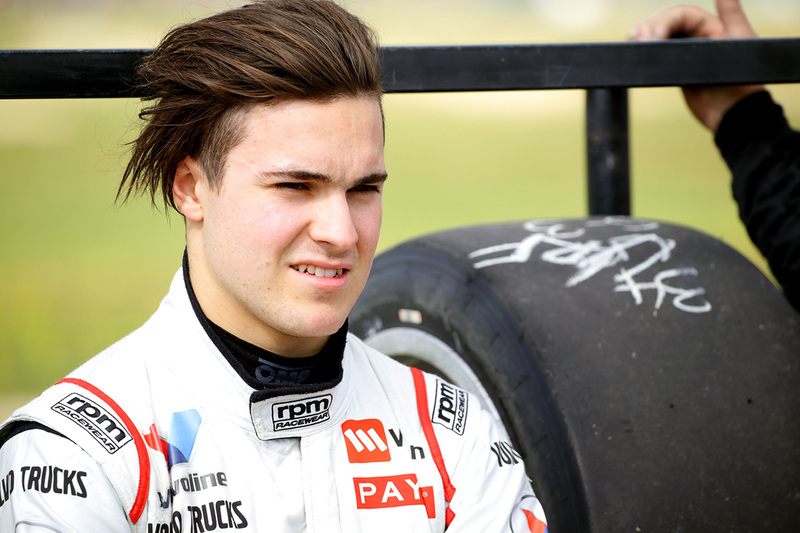 The Supercars rookie graduated to the main game with the Melbourne squad this year as a replacement for James Moffat, having earned the opportunity by proving himself in Super2 and as a co-driver. His maiden season in Supercars’ top tier has proved challenging after initially struggling for pace and consistency although the 22-year-old has shown improvement in recent rounds. Knowing his immediate future is secure, the young gun is looking forward to just focussing on his racing at this weekend’s Vodafone Gold Coast 600. “I’m already locked in for next year at Garry Rogers, I’m really looking forward to that,” said Golding in a preview to this weekend’s Gold Coast 600. Golding has been partnered at GRM by the experienced Garth Tander who is expected to remain at the team next year although it is yet to be officially confirmed. GRM heads to the Gold Coast off the back of a double top 10 finish at Bathurst with Tander finishing sixth in the #33 Commodore. Golding is currently 21st in the standings while Tander occupies 12th position.